Was inspired by so many natural and beautiful women of colour to do this blog. 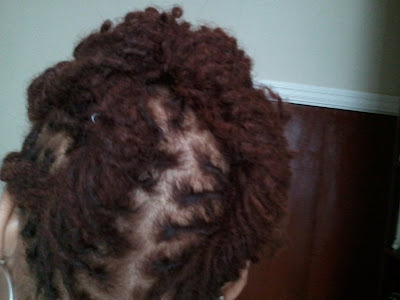 Most of it will be about the hair journey i'm about to commence, some of it will be about my everyday life. I look forward to sharing it with you!! Please seek out my permission before copying pics, Thanks. I was born in Britain to Jamaican parents. I'm a mum to my gorgeous son and a fashion and soft furnishings designer. I'm fun loving, totally in love and inspired by my Creator (not religious!! )optimistic and free!! 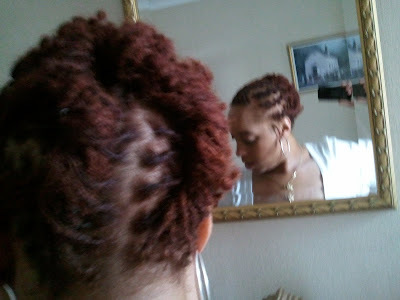 I've just dyed my hair red and thought i'd put a few pics of the colour and hairstyle that i've been rocking today. For all those who are/were regular visitors to my site would know that i live for colour!!! There was no braiding and banding this time round just me slapping it in. I started with the ends first and worked my way up to the roots for logical purposes!! 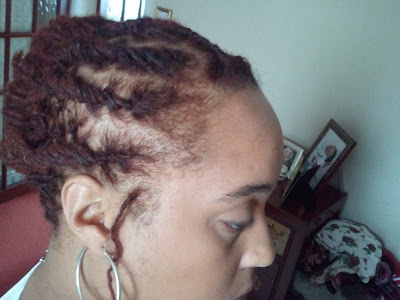 Colour was left in the ends for 40-50 mins and the roots no longer than 30mins. Your hair looks amazing! 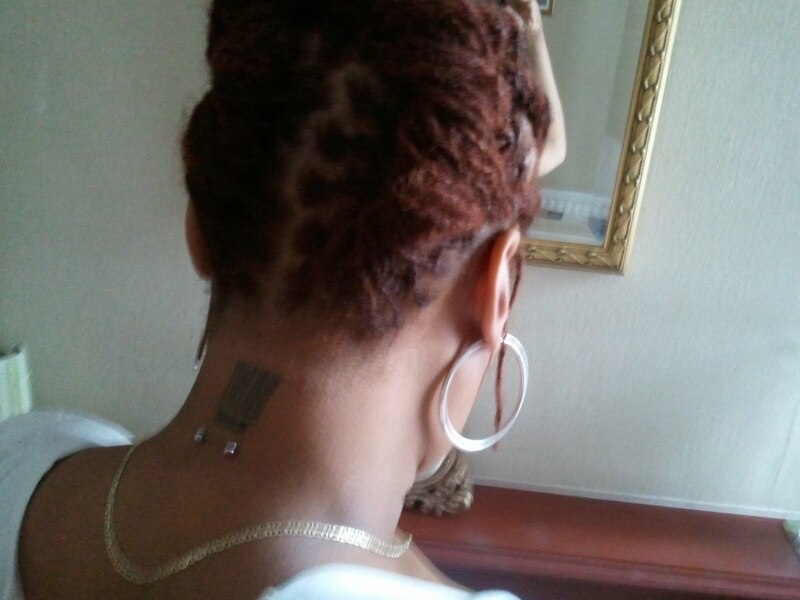 I love the color and the size of your traditional locks! What was the reason you changed from sisterlocks to traditional? I too am contemplating switching. 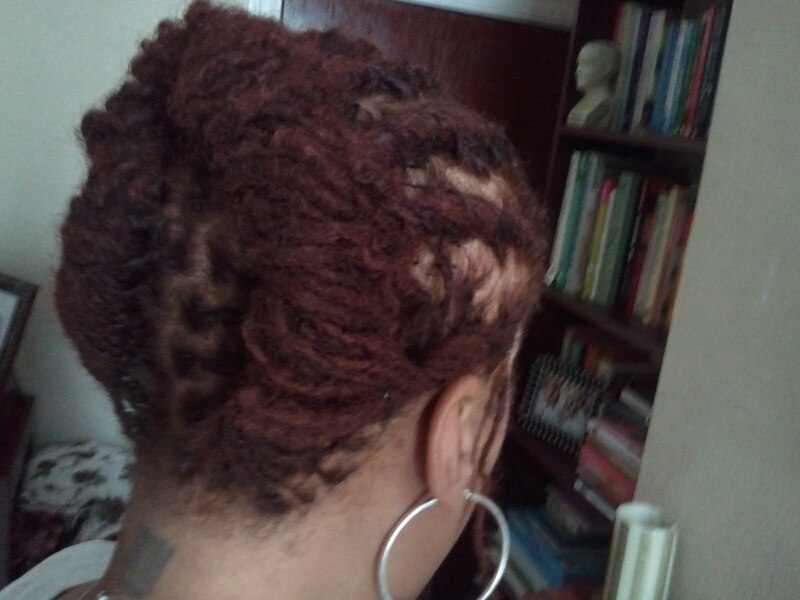 I started my sister's trad locs about 3 years ago and I love the fullness and 'thicker' loc size. At the moment I have not made a decision but I am considering switching. Your thoughts.... Peace and Blessings! hello Ezme! I fully understand the starting over particularly as a relationship ends. You're a strong woman and like many others before you, you will cope with what life throws at you. Fall, stand up, dust yourself off, and keep on walking with your head held high. Welcome back to the land of Blog!! Love the colour, style and thickness of your locks weel done on doing this yourself. 90 days and counting... before our destination wedding!